Andy has been involved in the Automotive Industry for 30 years. He has owned and managed successful garages since 1994. In 2001 he won the prestigious award of National Independent Garage of the Year at the Hilton London. In 2005 he sold his business and went on to complete a Diploma in Automotive Retail Management at Loughborough University (2007). During that period Andy consulted to a variety of Vehicle Manufacturer's and Parts Distributors in Aftersales Business Improvement (Kaizen) & Strategy. In 2010 Andy opened his newest venture, a state of the art 15000 sqft purpose built vehicle repair workshop offering a dealer level service for BMW, Mini, Volkswagen, Audi, & Land Rover. 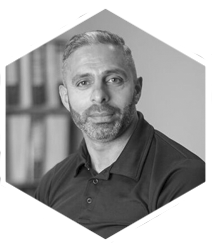 Having sold this business in November 2015, he is now MD at Savva Automotive an Aftersales Consultancy Practice working with both retail and aftermarket organisations. He is frequent industry speaker and a columnist for 2 major automotive trade publications. What do employers look for when recruiting?